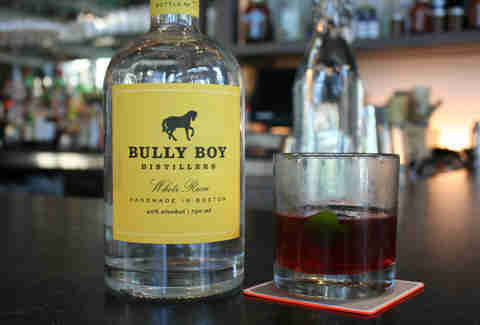 While whoever said "different strokes for different folks" clearly never saw Ray Allen's unimprovable trey, they did predict the myriad awesome ways in which Boston bartenders would mix up spirits from the Hub's newest (and only) craft-booze distillery: Bully Boy. The Big Stick: Kenmore's Island Creek Oyster Bar commingles BBD's blackstrap molasses-filled white rum with bitters and absinthe before serving it in a lime-garnished, chilled lowball -- also what you do on eBay, where no one can see you sweat. Ward 4S: The Garden-overlooking Bristol Lounge stirs Bully's white whiskey with aperol bitters and a blend of lemon juice, honey, and fresh grapefruit -- though drink too much, and you'll be the one who wants to be the little spoon. Rhubarb Cobbler: The liquid-chefs at L'Espalier serve the winter red wheat vodka on the rocks with rhubarb syrup and a tiny rose, aka what the Bachelorette should've given Weatherman. 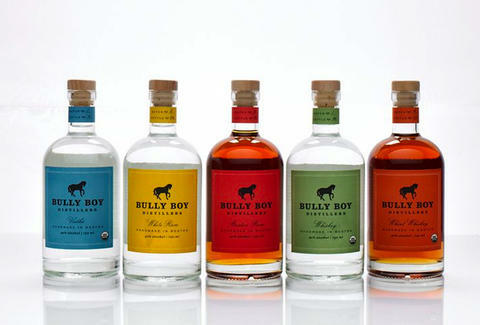 You'll also find their elegant bottles gracing retail shelves at Somerville's Wine & Cheese Cask and the Urban Grape, meaning just like Ray Ray, you can spend hours swishing alone.